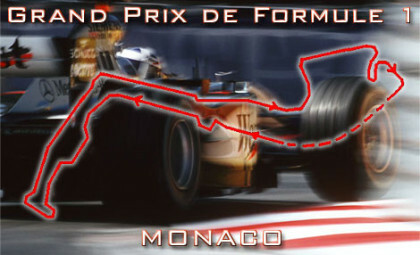 Welcome to the most famous motor race in the world, held in the equally famous principality of Monaco. Both the race and the location exude excitement and chic. The Monte Carlo, Monaco F1™ Grand Prix is held under the patronage of his Serene Highness Prince Rainier III, whose marriage to Grace Kelly in 1956 imbued a sense of glamour to this seaside resort renowned for its casino, palace and nightlife. The Monaco Grand Prix takes place on the tiny streets of Monte Carlo, where the speed limit is normally 30 mph. With the streets converted to a race track, the Formula I cars reach speeds of up to 170 mph! It is a truly amazing spectacle, and you are just a few yards away from the humming tires and screaming engines. Witness the world’s best drivers take on one of its most formidable Formula 1 tracks. Spend the day on exclusive Super Yacht or at the Podium Lounge that is the leading after-party lounge, offering the chance to mingle with celebrities, F1 Drivers, Royal ambassadors, supermodels, the party elite and the jet-set crowd over the Grand Prix Weekend. Take your place on the track side on bord of the Super Yacht, positioned in arguably the best location in the harbour to watch the race and feel the excitement building during the countdown to the Race. Watch the drama explode into a frenzy of screaming engines and cheering crowds as the drivers battle it out on a track that is designed to be the ultimate test of their skill.